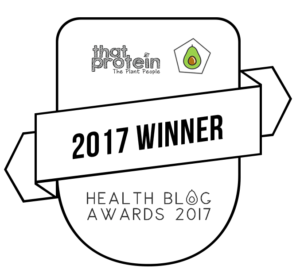 Simply add your chosen oils to the mixing beaker to build up a personalised blend, and you’ll see a list of safety precautions updated in real-time. 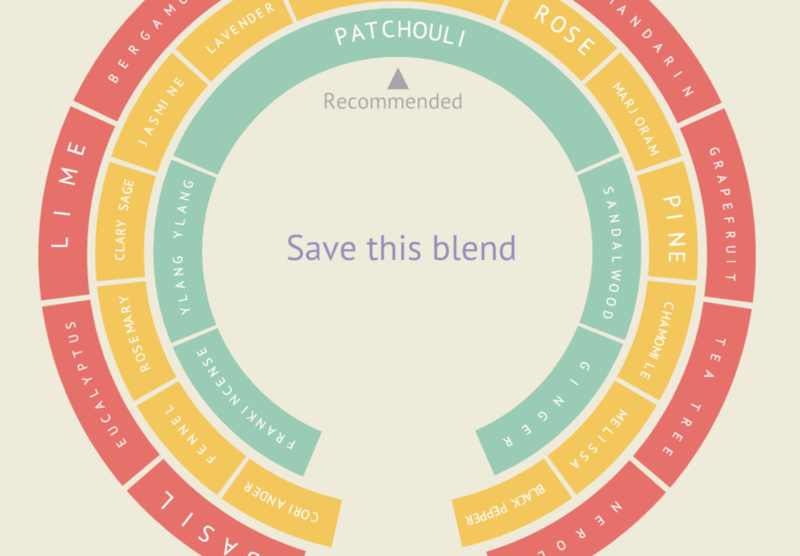 Watch the blending wheel spin as you add essential oils to your blend, with recommendations appearing towards the top. These suggestions update as each essential oil is added or removed from the blend. This app is not affiliated to any particular brand of essential oils – and as it’s developed by a qualified aromatherapist you know it’s advice you can trust. Once you’re done, you can even save your blend for future reference. Saved blends can now be named and/or deleted when required. You can access your saved blends from the Main Menu. 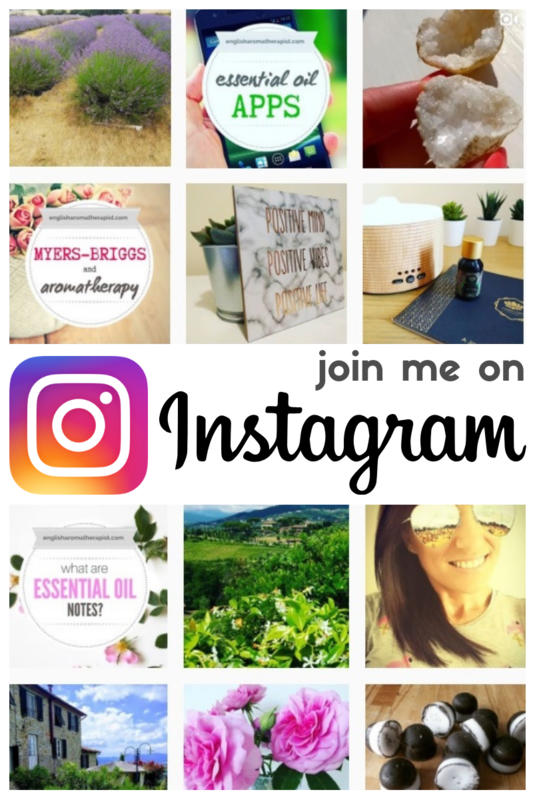 Choose from a list of 30 emotional and physical ailments to view the most relevant essential oils associated with that condition. The mixing beaker is pre-filled with the recommended blend recipe for that ailment, with other recommended alternative oils appearing at the top of the blending wheel. Simply add or remove any oil to customise the blend to your preferences. Choose any essential oil as a starting point, and the blending wheel will spin to suggest other suitable oils to add to the blend. Recommended oils will appear towards the top of the wheel, based on our unique blending algorithm. The updated version of my app includes a new Dilution Calculator tool, which allows you to easily work out the dilution percentage of any blend. Simply enter the number of drops and amount of carrier oil to calculate the blend dilution %. Or, enter the desired dilution % to calculate how many drops you will need. You can switch between metric and imperial measures, as well as different drop sizes to reflect brand variations. 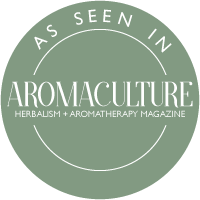 Access the blending information page to learn more about how to make an aromatherapy blend and how many drops to use. Essential oils should always be diluted before being applied to the skin. As a general guideline, use 4-5 drops of essential oil per 10ml of carrier oil. How many Drops Should I Use? See How Many Drops Should I Use and Sorry There is no Magic Formula for more information and advice. 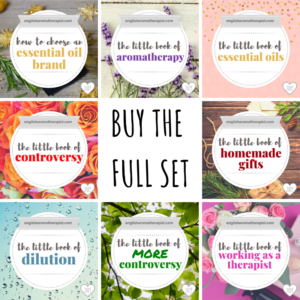 For more help and information, download my set of ebooks to learn all about how to blend with essential oils – including safety precautions, uses and blending data for 50 essential oils. Please note: Aromatherapy is not a substitute for medical advice and should not replace any prescribed medications. Always seek advice from your doctor if you have any medical concerns. Always check the safety data before using any essential oils. The information contained in this app does not constitute professional advice and suggestions are served only as a guideline.